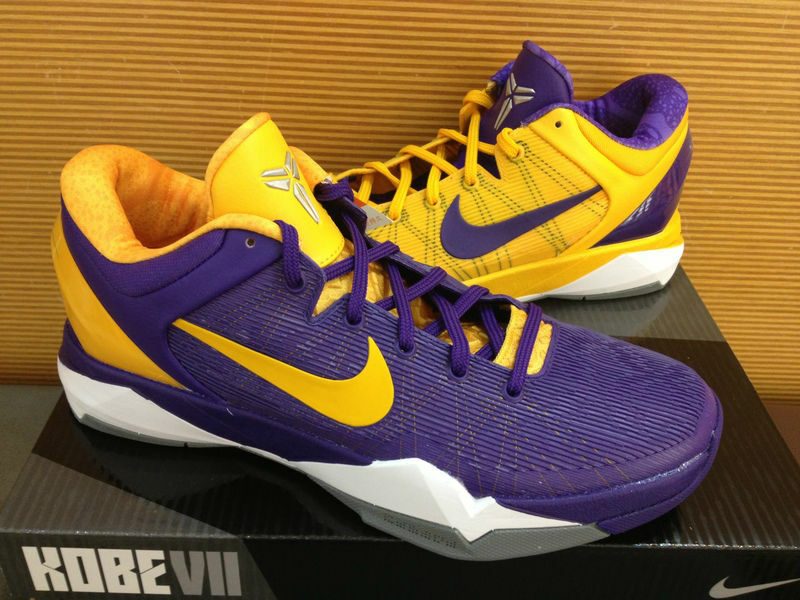 With the Kobe VIII set to make its usual December landing, the VII will still be Kobe's weapon of choice to start the '12-'13 season. 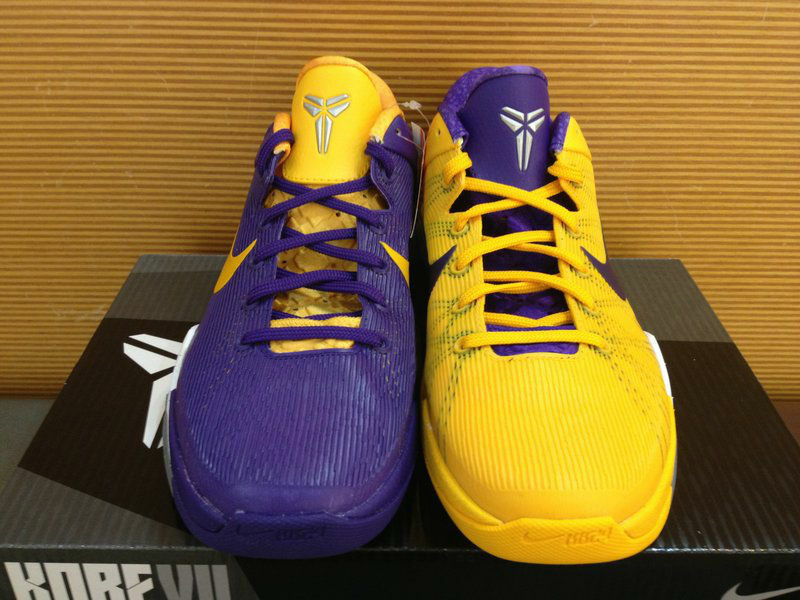 With the Kobe VIII set to make its usual December landing, the VII will still be Kobe's weapon of choice to start the '12-'13 season. 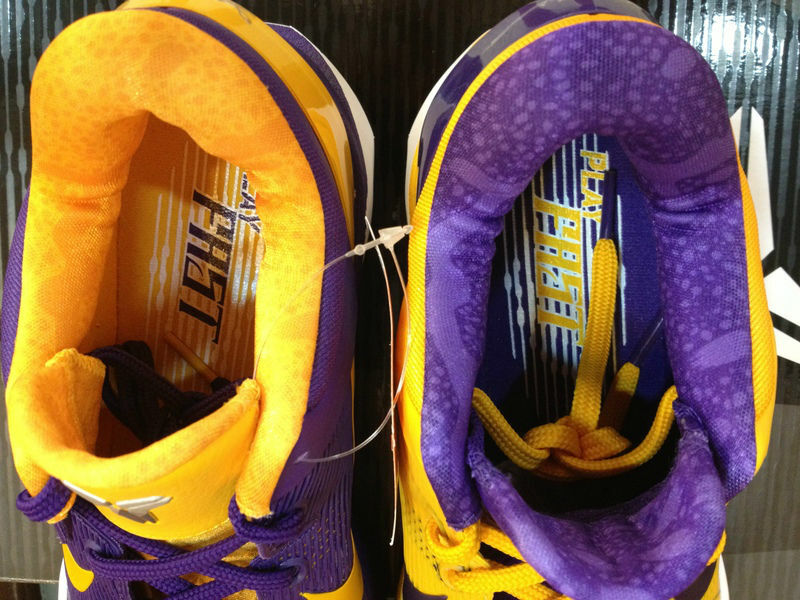 One of the pairs you can expect to see hit the Staples Center hardwood is this mismatched "Lakers" colorway, which pairs together a Court Purple 'Away' right shoe with a Snake Pool-like University Gold 'Home' left. 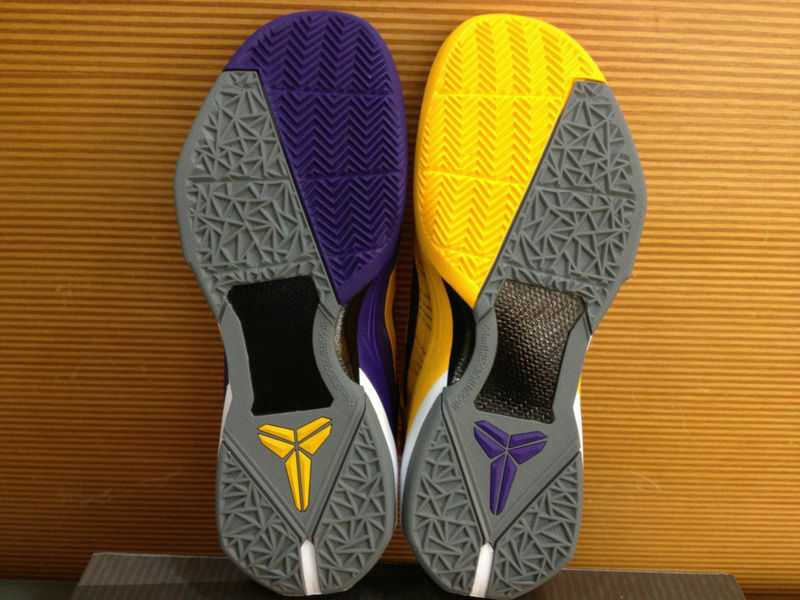 Unique prints line each interior, while Cool Grey helps finish off the outsoles. 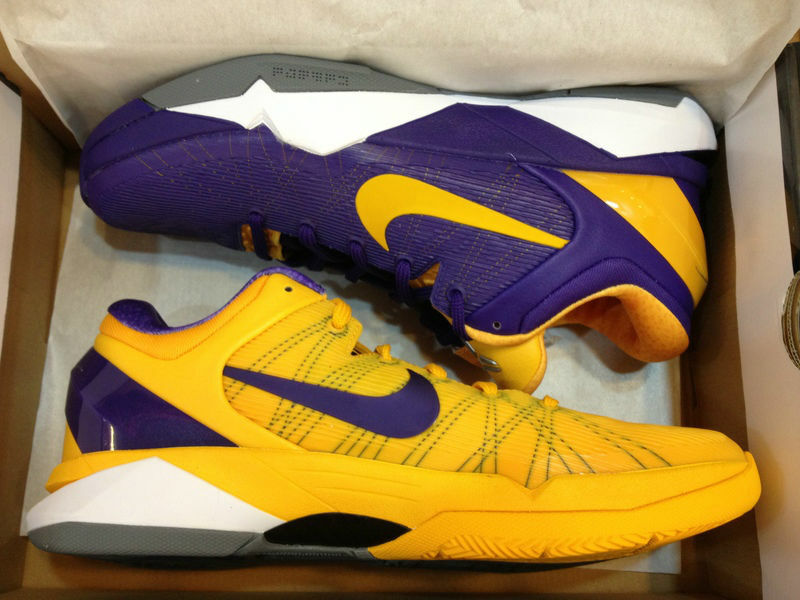 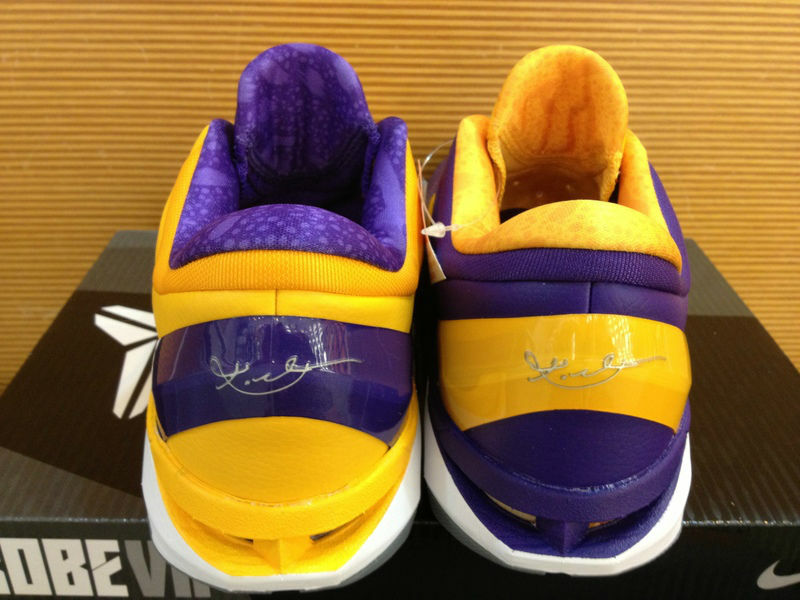 Before you grab your VIIIs, this "Lakers" Kobe VII will officially hit stores on Saturday, November 17. 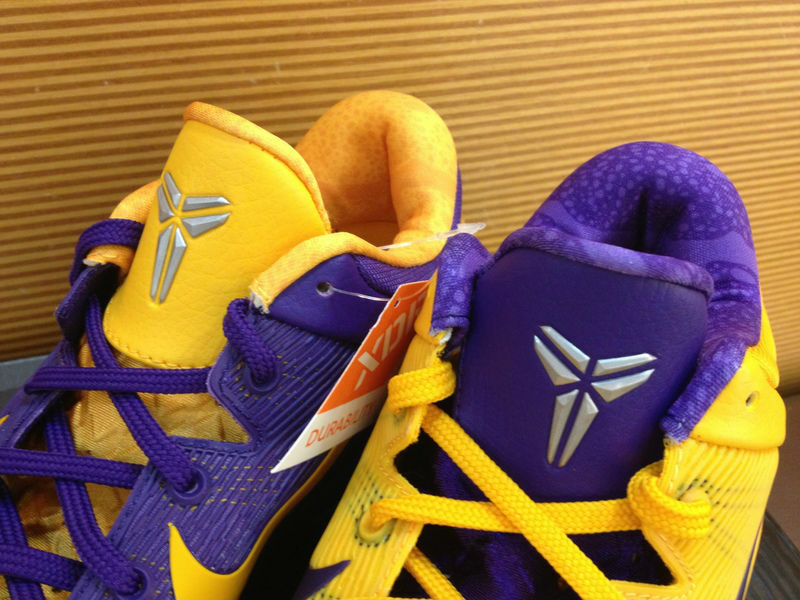 Youth sizes will be available as well.